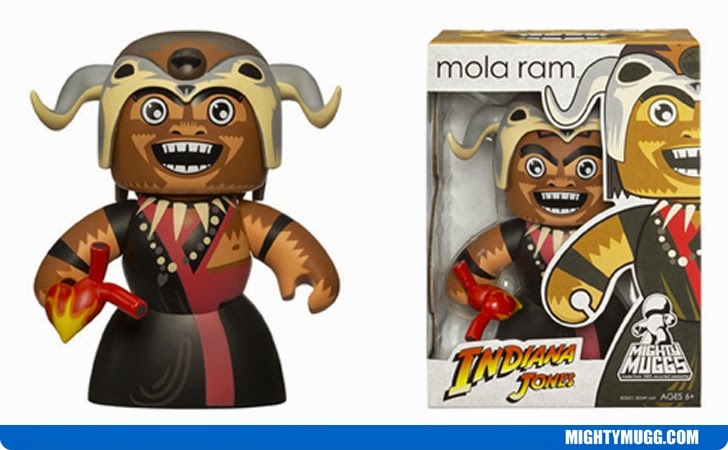 In the movie Indiana Jones and the Temple of Doom, Mola Ram portrays the high priest of the Thuggee and leader of a cult. He possesses Shiva Linga stones which he hopes will help aid his tyrannical conquest. His plans are thrown into complete disarray when Indiana Jones, Willie Scott and Short Round steal three of the stones and free the enslaved village children Mola Ram had captured. This begins the thrilling pursuit and action scene of the mine car ride and rope bridge which leads to the eventual death of Mola Ram being eaten by crocodiles. Much like the Cario Swordsman, this enemy of Jones remains a fan favorite from the series.